One woman’s trash is literally everyone else’s super-expensive, rare $200,000 piece of computer history. Most of the time, recycled electronics are too crappy to sell on Craigslist. But one California e-recycling center recently received one of the most coveted gadgets ever: A genuine Apple-1 computer. According to CleanBayArea vice president Victor Gichun, the mystery woman was cleaning out her house after her husband died. The backlogged center only recently discovered that she’d nonchalantly surrendered a piece of computing history, and now it’s trying to find her. CleanBayArea sold the computer for $200,000 to a private collector, and wants to split the profit with the donor. But first they need to find her: Gichun says he’d recognize her, but all they know is that she drives an SUV, and she clearly didn’t get anything appraised before junking it. 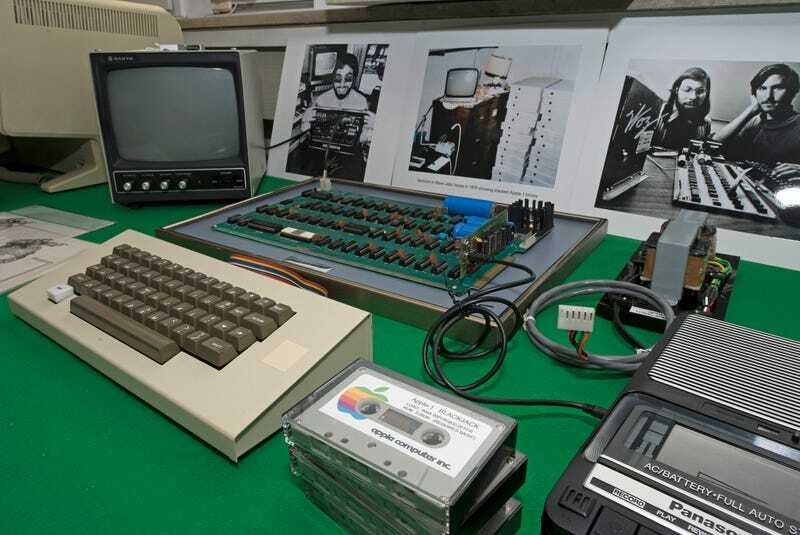 One of the last remaining Apple-1 computers sold at over $900,000 in an auction last year, and only around 50 originals are thought to still exist, so this is an incredibly rare find. Here’s hoping they can find this woman.